Tricksters love confusing us, so whether you call him "Unktomee" or "Iktomi" don't be in doubt as it's the same Lakota trickster. 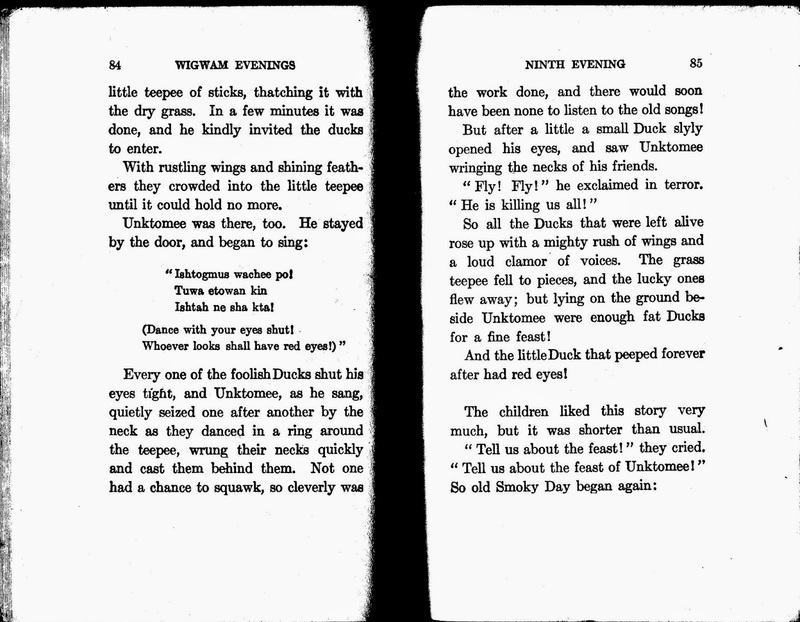 Today's tale about him is by somebody who knew him well, Charles Alexander Eastman. The other name for Eastman was Ohiyesa (which means the Winner or Wins Often), a name earned as he reached his manhood within his Santee heritage, but he was originally named Hakadah (which means the Pitiful Last as his mother died shortly after his birth). He lived in two worlds, born in a buffalo hide tipi on the Santee Reservation in Redwood Falls, Minnesota, but at age 4 the "Sioux uprising of 1862" resulted in his living the nomadic life of the Santee Sioux with his uncle and grandmother in Manitoba. When he was 15 and just about to go on his first war-path to avenge the father he believed had died in 1862, his father found him and insisted on white schooling and learning the white civilization. It was a difficult transition, but his own strong intelligence eventually led to becoming a medical doctor at Boston University in 1890 and class orator for the graduation ceremony. The rest of his life was spent in attempting to use both his medical skills to heal and his experience to represent the concerns of his people. It included 11 books popular internationally. 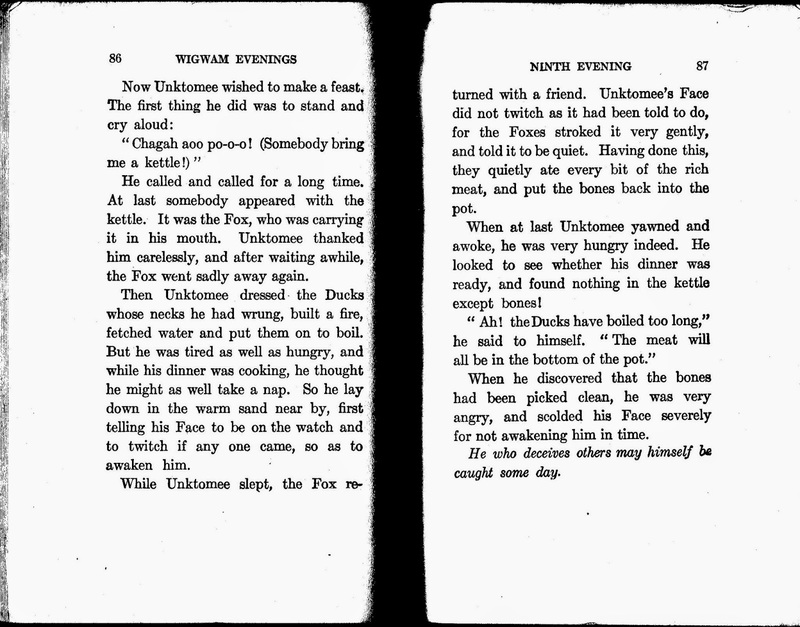 Today's story comes from Wigwam Evenings; Sioux Folk Tales Retold which was co-written with his wife, Elaine Goodale Eastman. 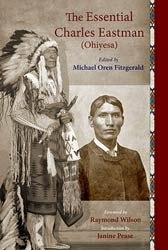 Various biographies and lists of his works can be found online, especially from Native American sites, such as Indigenous People.net, the Akta Lakota Museum and Cultural Center, as well as Early Native American Literature. 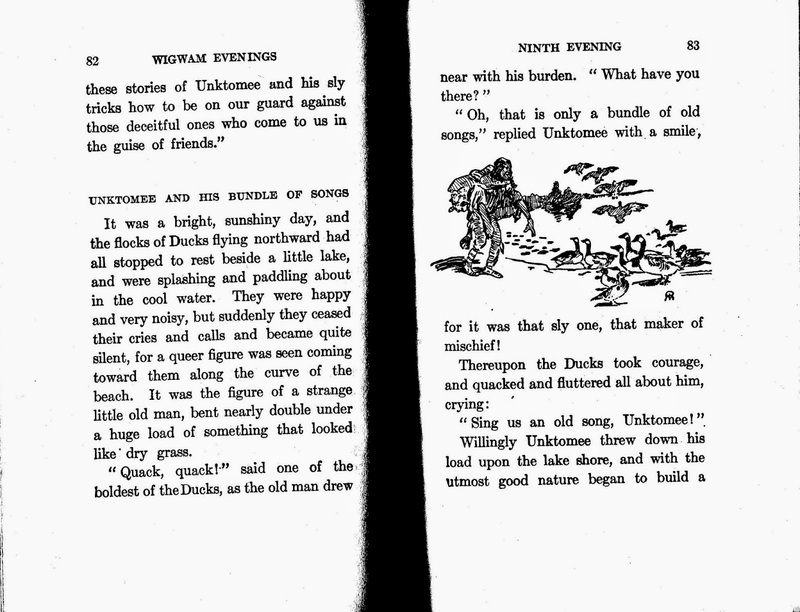 At the end of this story of Unktomee I'll look at the Iktomi series of stories by Paul Goble. Unktomee is explained by "Smoky Day", the storyteller who frames the stories within 27 evenings. I'm always a lover of Fox tales, so that story's addition of the fox to a story that could have ended without him just adds to my enjoyment. 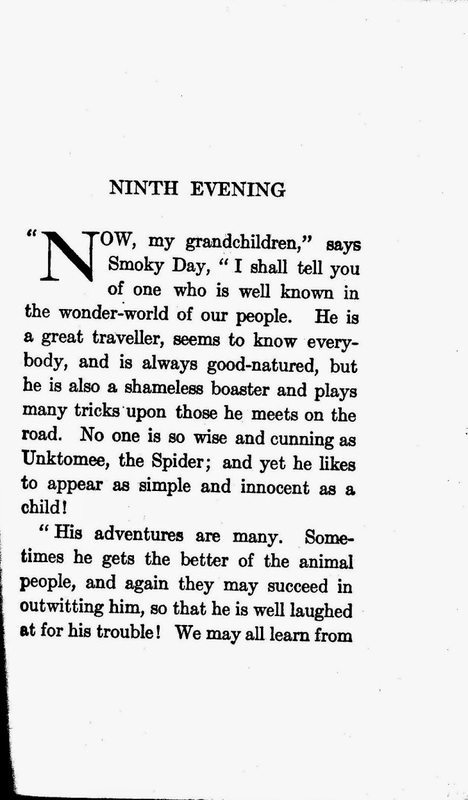 At the same time I notice the illustration by Edwin Willard Deming has Unktomee as a "strange little old man", but is earlier called by the narrator a Spider. That's what the name means and we are told he is a shape-shifter. The name also shifts slightly in pronunciation but is still recognizable in the work of Caldecott award winning author/artist, Paul Goble. His Wikipedia article repeats English Goble's background of adoption by Chief Edgar Red Cloud in South Dakota's Black Hills. Goble's work is not without criticism both in the book Unsettling Narratives: Postcolonial Readings of Children's Literature by Clare Bradford on pages 29 and 30 and 81-83 and online at American Indians in Children's Literature quoting Native authors, Elizabeth Cook-Lynn, and Doris Seale, and subsequent discussion in the blog by Debbie Reese. Oh, Unktomee, how you must be laughing!